In 2001, ProAct Safety introduced Lean BBS® as a major update to traditional behavior-based safety (BBS) models with a focus on providing new value with more efficient, safer work. Simply put, Lean BBS focuses on adding value to employees rather than trying to control them. BBS provides successful results for many organizations, but they are looking for a way to take the process to the next level. The Lean BBS methodology takes them there. Some are adamantly against BBS for a number of reasons (union resistance, questionable implementations, cookie-cutter and inflexible approaches, etc.). Lean BBS gains bargaining unit support, is fit-for-purpose and customized to the realities of each organization. Organizations with vastly different processes from site to site want to bring uniformity across the company. Simply changing from one methodology to another is not appealing nor rational. Implementing a more efficient Lean BBS model was both appealing and a rational solution to encourage the processes to evolve towards value-add. Some hesitate to pursue BBS due to high costs and demand on internal resources to operate the process. Lean BBS provides an alternative that addresses these concerns due to the hyper focus on efficiency and ensuring value-add. While several version of BBS have been around since the 1980s, few of them have truly adapted to the changing environment in which they must operate. The Lean BBS process has not only evolved, but continues to do so with each customized implementation. Making BBS fit your culture, operations and logistical realities, rather than trying to make your company fit some idealistic model, is a key to success in today's realities. From the authors of bestselling books on the future of safety excellence, safety strategy, culture and leadership, explore how to put the principles of Lean BBS to work in your operations. Discover the new realities of behavior-based safety. "Galloway has done it again in his fifth book! Shawn Galloway is the most prolific blogger in all of safety. In this book Shawn and his partner, longtime behavioral safety expert Terry Mathis, has answered a long-time challenge to behavior-based safety: How to lessen the administrative load of successful, high observation programs. Any safety professional will benefit from learning how to integrate their BBS into their company's LEAN program (or start one of their own). Highly recommended!" "By combining the principles of Lean Manufacturing and Behavior Based Safety, Shawn Galloway and Terry Mathis offer an effective and manageable system that will not only improve your Safety performance, but will improve your Safety Culture at all levels as well. 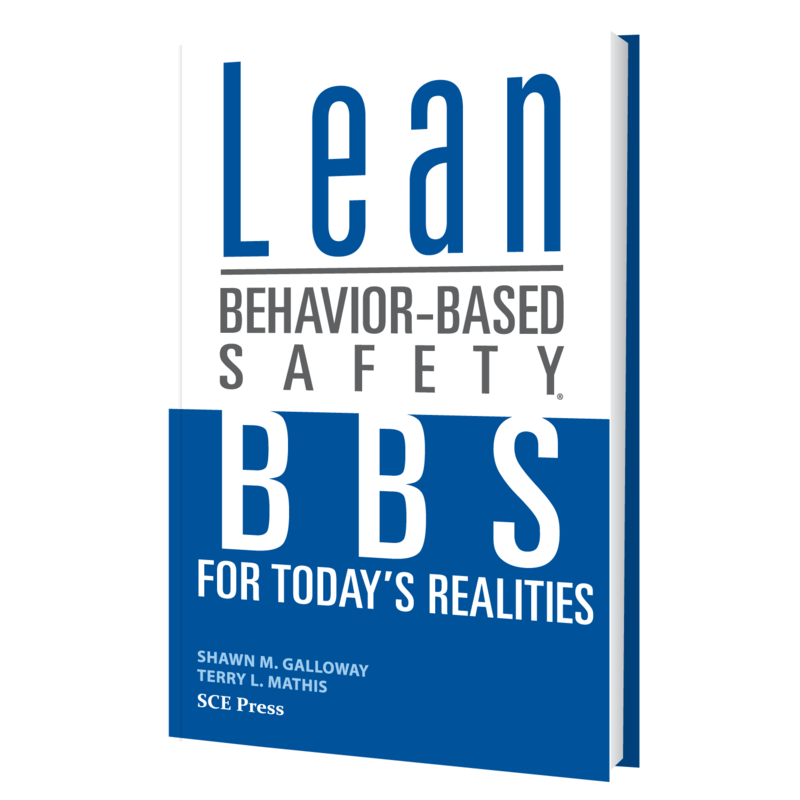 Lean BBS is a must-read for anyone considering a journey down the path of Behavior Based Safety and for those whose past experience with Behavior Based Safety proved unsuccessful or not sustainable." "Anyone who is interested in understanding or improving upon Behavior Based Safety thinking will be interested in reading this book. Readers can gain knowledge of the inevitable evolution of BBS and who leads the effort and why that is important. For me, one of the most captivating parts of the read was Chapter 4: Putting Theory into Action. Terry and Shawn clarify things for me here. It's not enough to talk about behavior based programs, at some point theory must become action. Great stuff! This book was exceptionally very well written and shows the knowledge and expertise of the authors." "I think this is most useful BBS resource I have ever seen. The way the book gives perspective really makes the subject matter easier to understand. I think this will be doubly true for companies with no BBS culture at all who are struggling to get a grasp on the subject. BBS is like diet advice, there is so much conflicting information you don't know what to believe! Only Shawn and Terry could have written a book like this. The most succinct explanation of behavior based safety I have ever read." 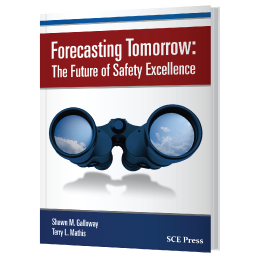 "Shawn Galloway and Terry Mathis have made a very important contribution to the safety literature with this book. The relationship between BBS systems and an organization's continuous improvement & operational excellence initiatives is not a well understood subject. This work sheds light on the why and how-to. A must read for all managers, change agents, and champions." "Great refresher on the Lean approach to BBS. For those new to the concept I think it will be exceptionally eye opening, for those like myself who have taken the internal consultant training and have used ProAct Safety to assist with an implementation this is a great refresher." "This book is a tremendous tool not only for organizations looking to start BBS programs, but even more so for organizations whose BBS programs have flailed or become stale. While BBS is not a magic pill for safety, the book does remind us of the essentials of BBS that made safety professionals so excited about BBS when it was first introduced. There is no 'right way' to do BBS and it must be adapted to each organization, operation, or team."